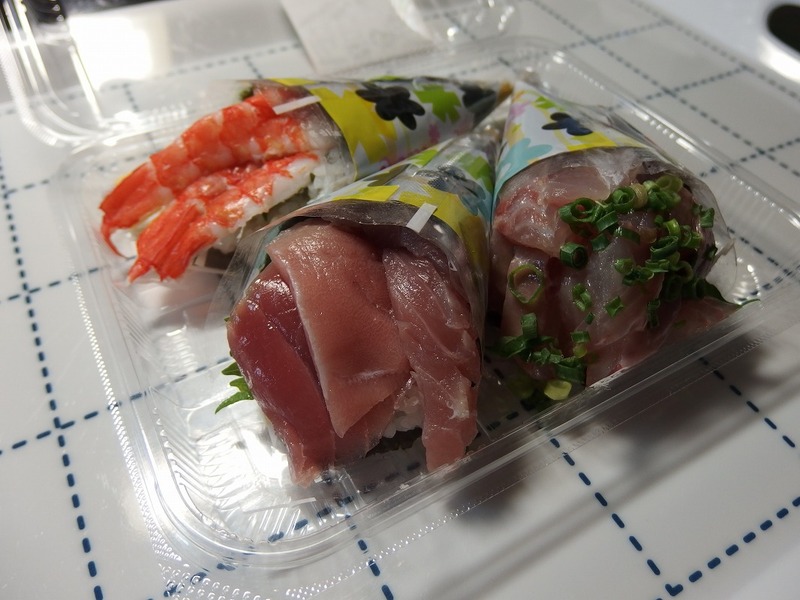 I think there are many people would like to try “delicious seafood” as one of the purposes of traveling to Japan. So where do you plan to have a meal when you visit Japan? Will it be a hotel or a ryokan (Japanese-style hotel) or a restaurant? 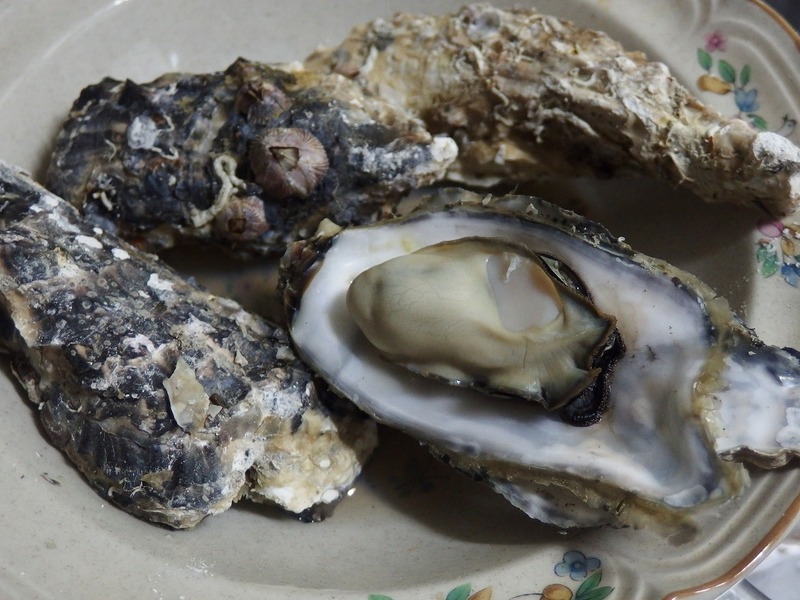 However, don’t you think that the cheapest and easy way to get fresh seafood is a supermarket or a discount store where locals go often? We Japanese often do eating out, and indeed the restaurant industry is prospering and we can eat cheap and delicious dishes in Japan. However eating out every single day is not good either in terms of money or health. So we usually buy groceries at supermarkets or discount stores. Best recommended! Discount Store · Direx! 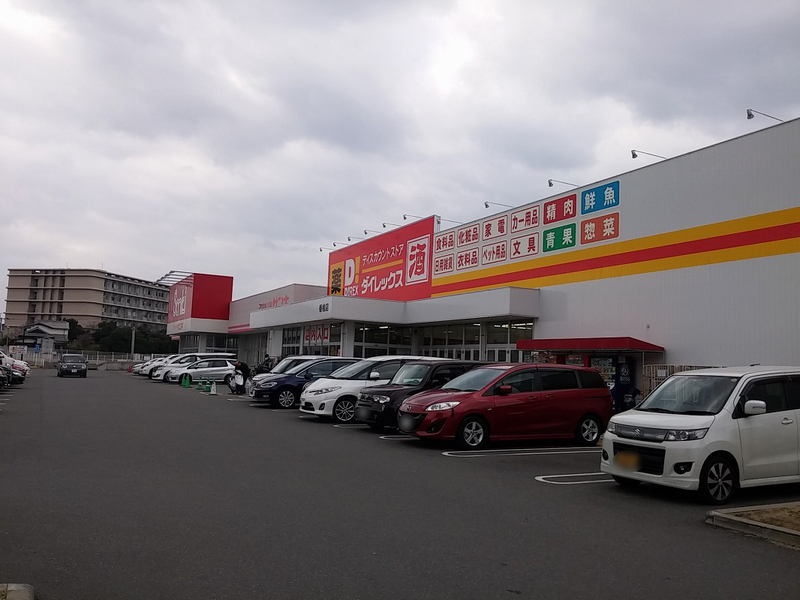 I would like to introduce a discount store where we usually go for groceries this time.This is Direx (ダイレックス) Kashii (香椎) store. 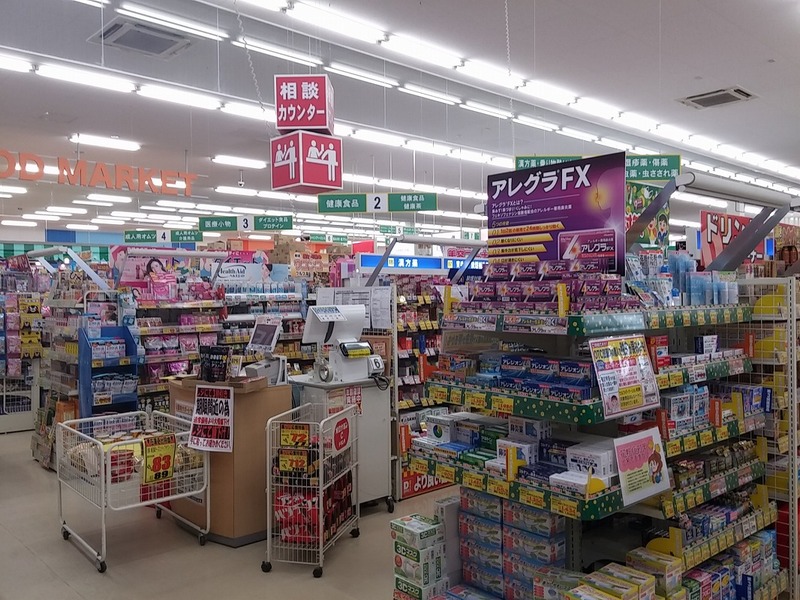 Direx is a discount store that develops chains mainly in Kyushu (九州) and has deployed more than 230 stores nationwide. Why am I introducing this store? Because it is one of the cheapest discount stores that I’ve been to. 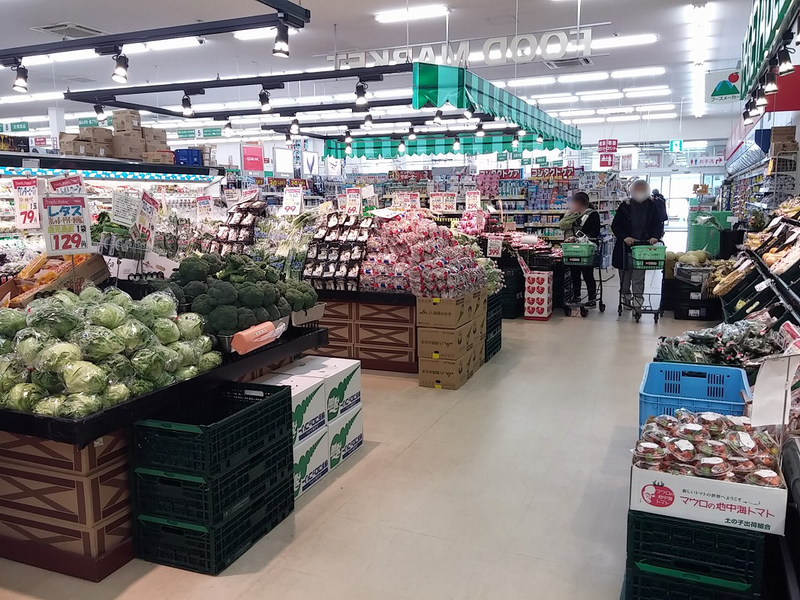 Various items ranging from pharmaceuticals, vegetables, prepared dishes, cosmetics and home appliances are sold at low prices in the store. As you can see in the article title, here is the fresh fish section I would like to introduce. 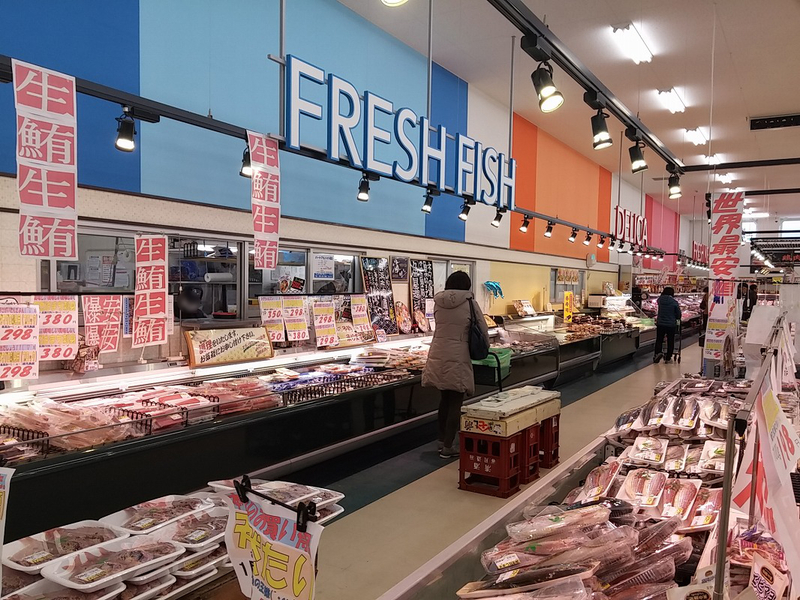 This section is lined with full of cheap and fresh seafood. 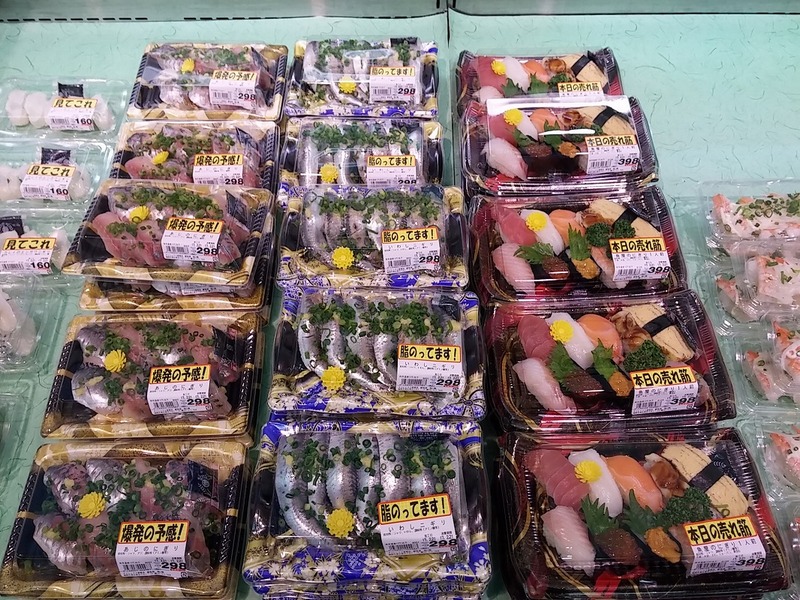 The kind of fish sold is different depending on the type of fish the store purchased, but sushi and sashimi and other seafood are very cheap anyway. 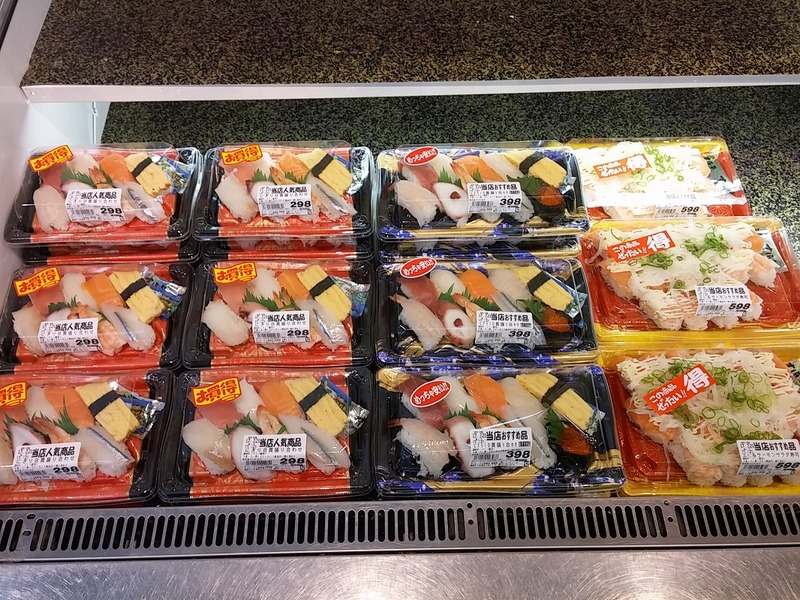 Many sushi is on sale. 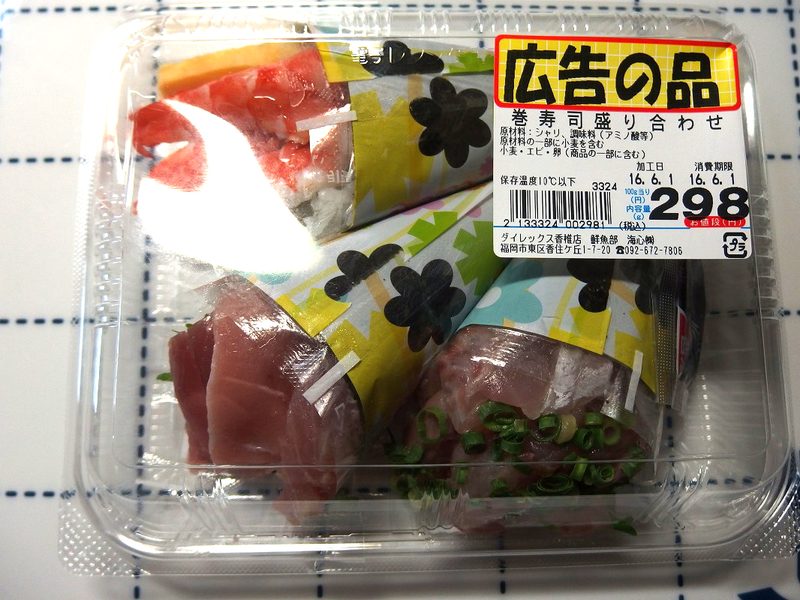 Those sushi packs are sold at less than 500 yen. And it’s not a special sale, it’s always this price. 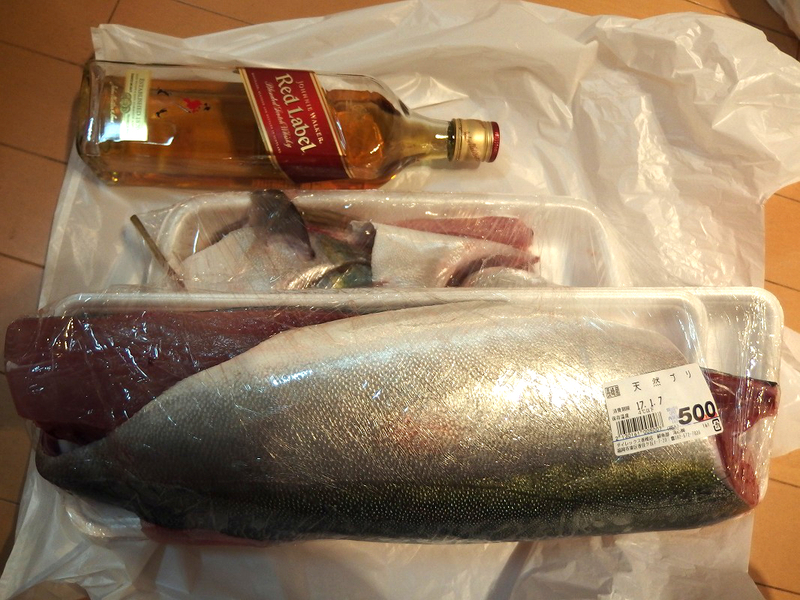 Let me introduce some of the cheap seafood I have bought. 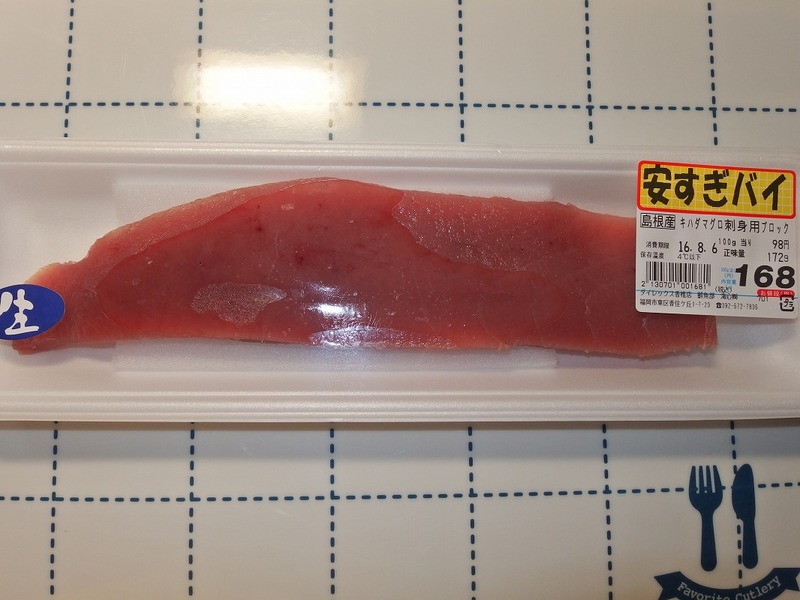 This is yellowfin tuna 168 yen (US$ 1.51) for Sashimi. 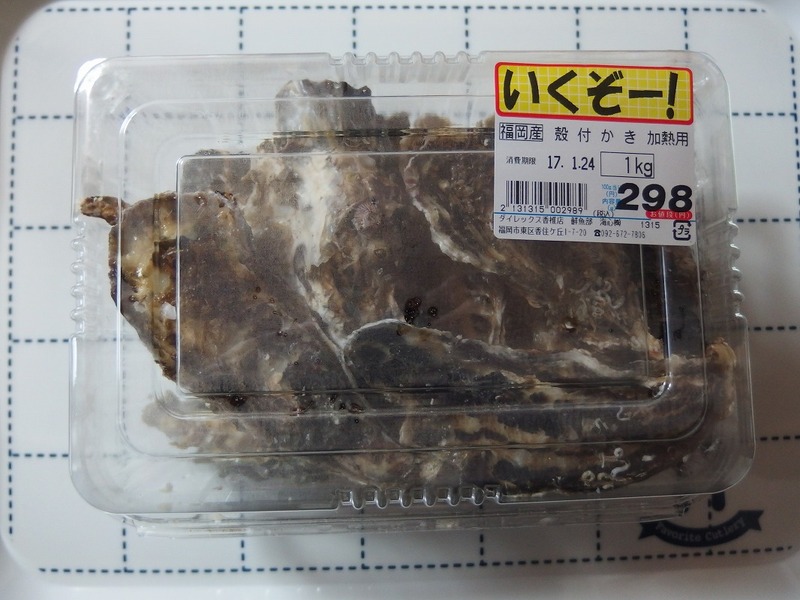 This is 1kg of oyster, 298 yen (US$ 2.67). And the following photo shows the one after cooking by a microwave. It was delicious as always. This was a special sale of New Year. 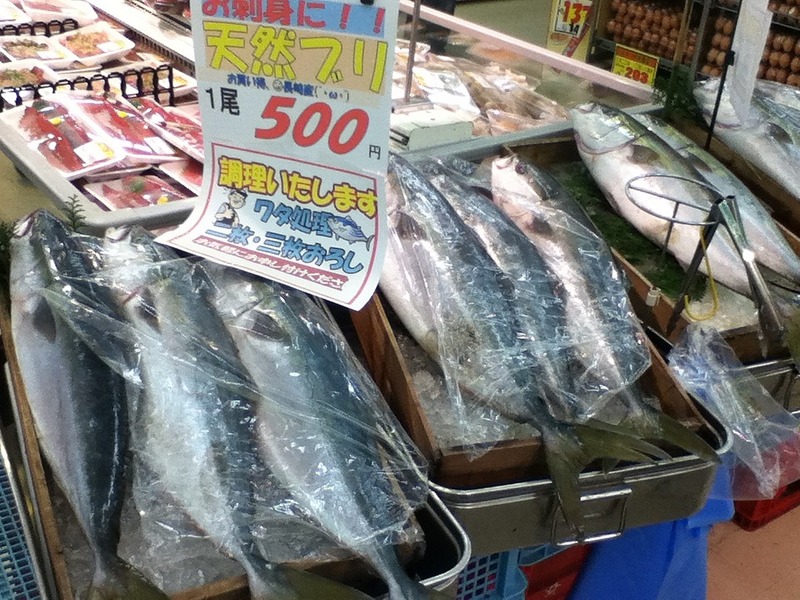 A whole yellowtail was only 500 yen (US$ 4.48). The shop stuff of the fish section will make it to fillet in 3 pieces for free if you ask. Look at this. Now you know how big this yellowtail was in the photo below. 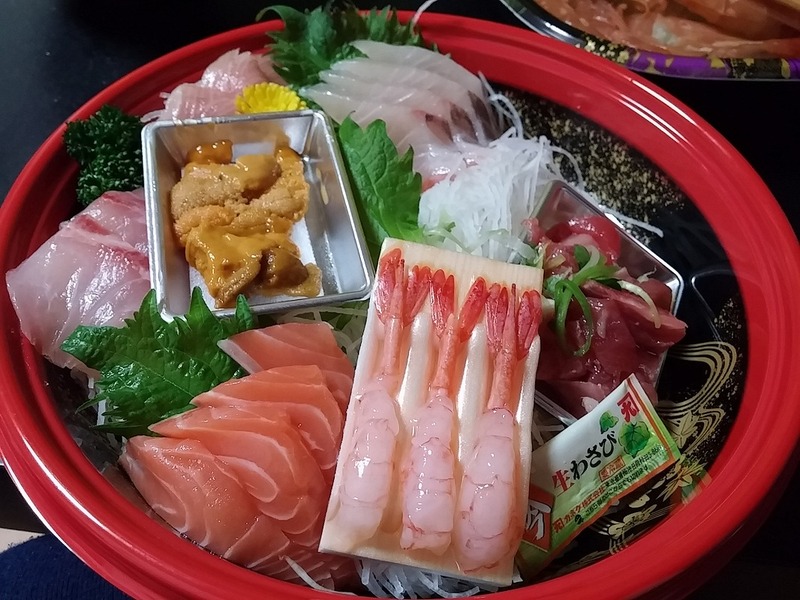 Assorted sashimi 698 yen (US$ 6.27). How was this small tour of the discount store? 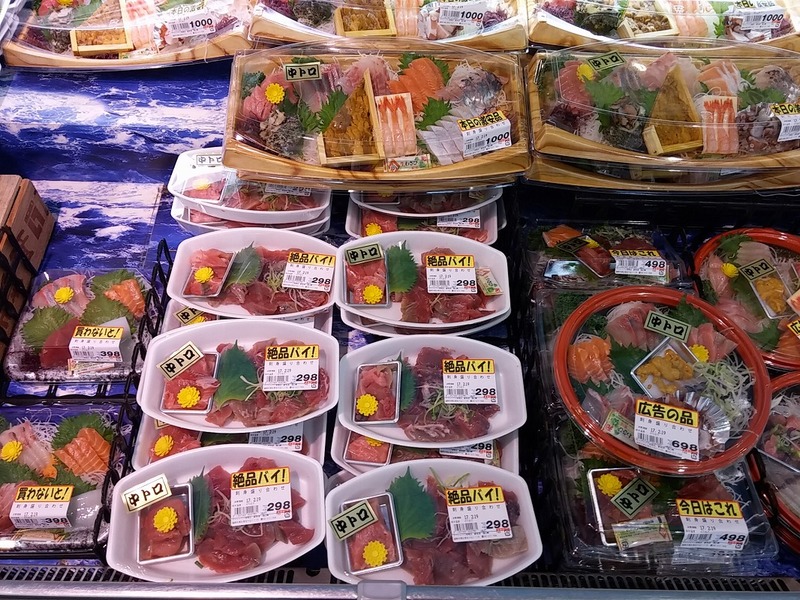 Don’t you want to visit this fresh fish section once? Please note that some stores of Direx do not have a fresh fish section. It depends on the stores. 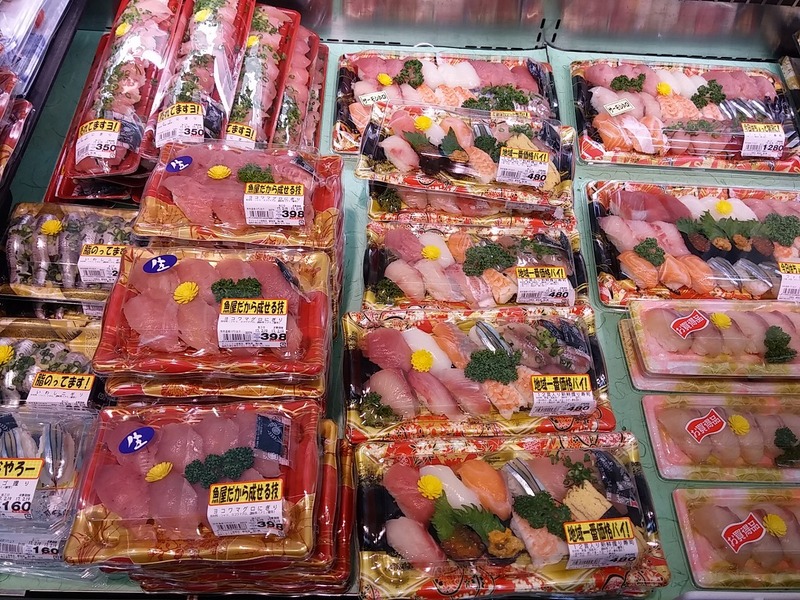 You can check if a store nearby your place has a fresh fish section by this link. The link is the store search page of Direx. 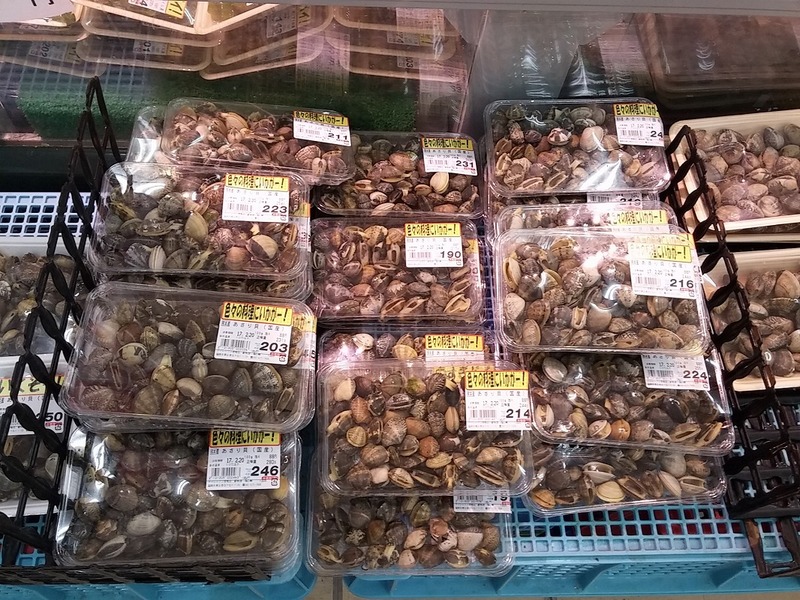 If there is no blue icon of “魚” in the list of items to be handled in the store, then there is no fresh fish section. And please remember, kinds of products and prices might be different on each store. I think it depends on the size of the store and how lively it is. Please check them on the store search page. First, select the prefecture where you stay. 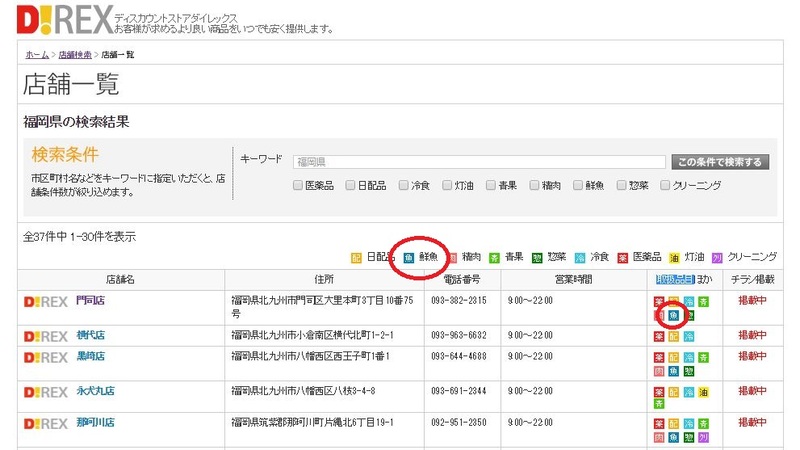 When you select the name of the store from the store list, information such as the store map and opening hours is displayed. 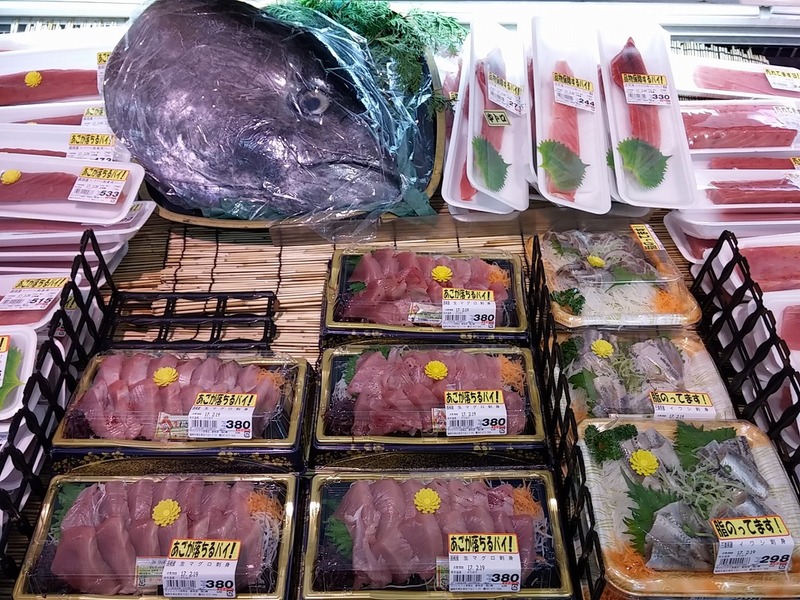 Again, please check the “Items handled 取扱品目” or the “Service サービス” whether there is a fresh fish section in the store. 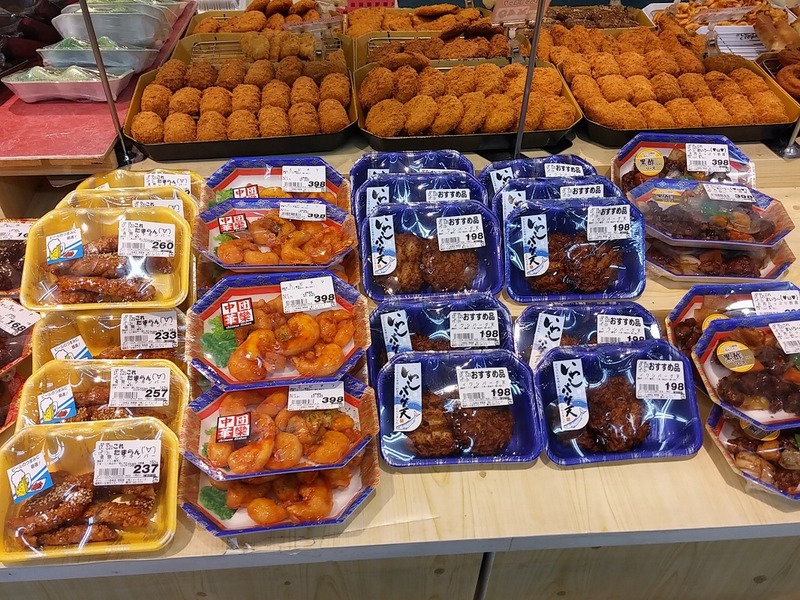 If there is a blue icon of “魚” or the words of “鮮魚”, then the store is handling seafood. ← Cycling Around Shikanoshima Island And Enjoying The View Of The Coastline.